As many of you will remember from your childhood, Tupperware parties were all the rage in the 60’s, 70’s and 80’s. 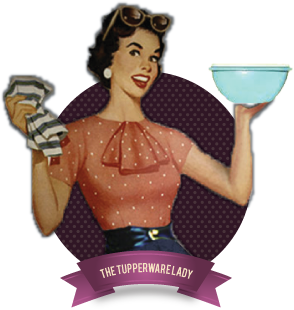 There was a brief hiatus for a few years, but Tupperware is now back – and I’m here to help you launch your very own Tupperware parties. You supply the venue, guests and refreshments and I will showcase the products, bring catalogues and help with the selling. Why not have a girly gathering and invite your friends along to a Tupperware party at your home? Benefits! As well as offering an exciting and unique way to get together like-minded people over tea, coffee (or something stronger) and refresh your essential plastic-ware, as a party host you will be entitled to free and half price Tupperware. Contact me for more details of the offers available to party hosts. There’s no fee, no deposit, in fact nothing to pay. All I ask is that you organise a minimum of 10-12 of your friends, neighbours, work colleagues, school mums, or whoever you know to come along to your party. You can host your party in any style you choose, be it traditional or even dress up (perhaps vintage theme!) And the choice of venue is up to you: your home, your garden, your workplace, the local park, or wherever. Don’t hesitate, contact me to book a date then start calling your friends… Easy as pie!